Do you need a new prescription from me each time ? We can now also dispense batch NHS repeat prescriptions .Your GP may be able to produce 6 months worth of prescriptions (batch repeats) which you can have dispensed at your convenience or specified intervals as allowed by the prescriber. (see next question). Can you remind me when my repeat prescription is due ? If you send us a repeatable private prescription or NHS batch repeat, we can call or email you when your next instalment is due, or you can contact us when you want more. We hope to introduce this service to NHS prescriptions when electronic prescribing is fully implemented soon. What is an 'item' on a NHS prescription ? Each medicine listed on your prescription is usually a separate item. You pay £9.00 for each one, unless you hold a pre-payment certificate or are exempt for one of the other reasons stated on the back of the prescription. Occasionally, a single item is classed as more than one fee. What if I forget to enclose payment with my prescription or complete the back of the prescription form incorrectly.? We can keep your order until we receive the missing information. Or if you wish we can return your order. Why do you ask for evidence of NHS Fee exemptions? This is now an NHS requirement carried out by all registered pharmacies. I live in Wales and I no longer pay for my NHS prescription. How much should I pay? Why can't I see private prescription charges before I get a prescription? Why don't you supply refrigerated medicines or controlled drugs ? For safety reasons we cannot deliver them by Royal Mail, and the cost of sending them by specialist carrier would be prohibitive. Why can't I get the morning-after pill from you? The morning-after pill is only available without a prescription if a consultation in person with a pharmacist is carried out. For this reason, we are unable to provide this product. 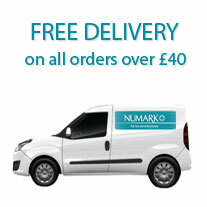 We can deliver to where you work as long as it has a standard UK postal address. Please fill in the delivery address box on the prescription request form. How do you let me know my medicine has been dispatched ? We will send you an email to confirming dispatch and the pharmacists name responsible for dispensing your medication. Your medicines should arrive within 2 working days of the date of this email. If you have not received your medicines after 3 working days, and Royal Mail has not left a card, please email us by clicking here or phone 01509 506564. You, or another adult (not children), will need to sign for your delivery. For safety reasons it cannot be posted through the letterbox or left in a secure area . Rules from Nov 2008 mean that we can supply on private prescriptions originating in countries of the European Economic Area or Switzerland. Dispense4me Ltd 14-20 Field Street,Shepshed,Leicestershire.LE12 9AL dispenses and sells prescription and pharmacy-only medicines from the dispense4me.co.uk website. This address is the registered premises with the General Pharmaceutical Council .To check the registration details of our pharmacy and pharmacists please visit the general pharmaceutical council website then click on "Registers" on the right hand side of the page and follow the instructions given. Will my patient information details be kept confidential? We keep all information you give securely in our pharmacy. No private medical information or your prescription history is kept or given on the Internet. We do not use any information for marketing purposes unless requested by you to do so. We request your daytime and telephone number only to use if we need to contact you should there be a problem with your prescription. Who do I need to contact if I have a query about a medicine or I don't understand something about the ordering procedure? If you have any questions we haven't covered above, contact us on 01509 506564.
Who should I contact if I have a complaint about your pharmacy service? In the first instance you should contact us. We operate a NHS Complaints procedure.